The peculiarity of Finnish Lakeland, Järvi-Suomi in Finnish, is that about a quarter of its territory is made up of lakes. The majority of towns are located on lake shores, due to the existence of a lake transport web since antiquity. The region is located in south-eastern Finland, not far from Baltic sea; here winter is hard season, average temperatures are between -18º and -3º C and winter solstice has just five hours of light per day. 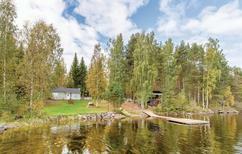 Late spring and summer, when average temperature is between 11º and 23º C, is the best period to enjoy Finnish nature and holiday houses are a good way to do it. 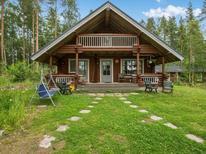 Summer cottages (mökki in Finnish) are typicaly rented during summer by Finnish families, yachting and having fun in the lakes and shore. Lake water temperature is lovely during warm season and sunbathing is also possible. The beaches are well structured for kids, as usual for a Scandinavian country.Visitors can rent a boat to enjoy a view of the lakes from another perspective. If you are interested in watersports just look for the best offer. 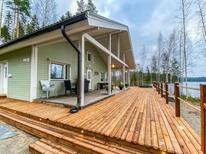 If you are looking for tranquillity a holiday home in Finnish Lakeland is a great opportunity to relax. Strolling in nature, between high conifers and reddish rock, spontaneously gathering fruits such as raspberries or blueberries is a great way to empathise with the Finnish summer life style in quiet locations such as Mikkeli. Moving by bicycle is easy as cycling lines are almost everywhere. 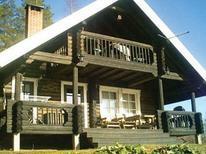 Holiday homes, holiday rentals, holiday apartements and holiday houses in Järvi-Suomi are easy to book and rent.